We love pets in our home, and we also love making our pets feel loved. The Pet Collective has recently launched a new YouTube series that we were excited to share with all our readers who are pet lovers just like us. The series is called "Sedona's Super-Awesome, Incredibly-Fantastic, Uberly-Cool, Do-it-Yourself Pet Project." Phew! 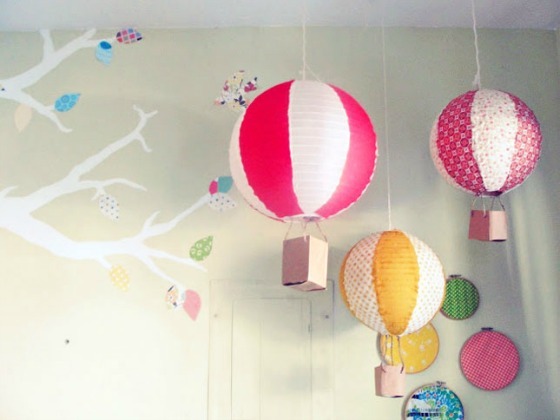 The show is hosted by Sedona Cohen who showcases fun DIY pet projects. There are paintings, no-sew pillows and even organic apple-oatmeal pet snacks to make! We hope that you enjoy watching the first episode in the video below. Like what you see? Look for more of their fantastic pet videos coming soon. Information, photos and videos provided on behalf of The Pet Collective. You have heard of Gangnam style...but we are going monster style. It is official! 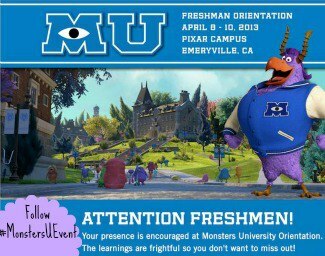 I just recently got accepted to attend Monster's University next month in San Francisco. 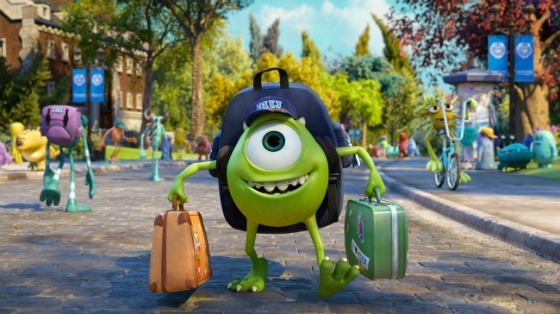 With orientation just a couple of weeks away, it got me thinking about what essentials I might need before heading back-to-school at Monster's University. With an energy shortage happening in Monstropolis, I need to practice my scream just in case extra screams might be needed to fuel the plane taking us to San Francisco. I want to make sure I fit in at school with all the extra hairy monsters, so I am going to start off the trip by letting my hair down. 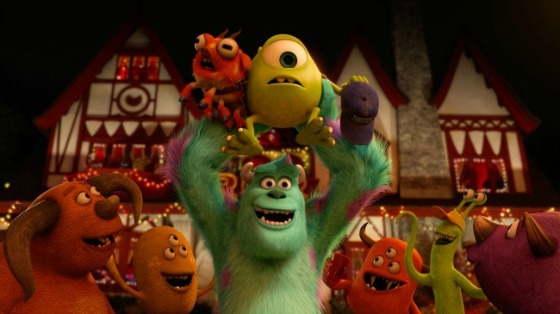 After we make it to Monster's University, we are going to tour the Pixar Studios. While touring the studios, I am going to have to walk extremely quietly to ensure that I do not wake-up any of the monster's on the story boards. The last thing I would want would be a monster following me back to my hotel room after the tour. Next I will have to remember to bring my Franklin translator along with me, to help decipher the different monster languages, before going to see the new Disney Short, "The Blue Umbrella." I want to make sure that I do not upset the CDC and end up getting a shave because I could not follow the instructions. 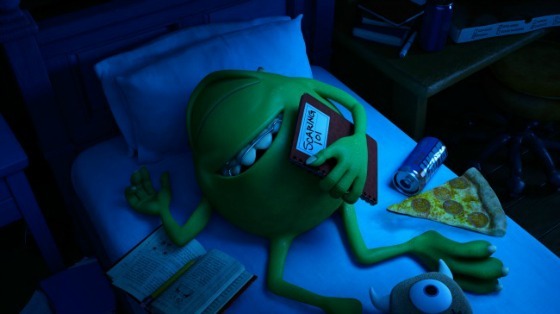 Then I am going to hit the books with my roommate after watching the new film "Monster's University." I'll make sure and not put any substantial dents into my books while staying up late studying for my next class at the Walt Disney Family Museum. Instead of a lunchbox, I will have to pack something the size of a picnic basket, to satisfy my monster appetite while touring The Walt Disney Family Museum. I am also packing plenty of extra Febreze into my backpack to spray around, because I am expecting there might be some extra smelly monster's with us on the tour. Since Rice-a-Roni is the San Francisco treat, I wonder if the monster's currently living at Monster's University will be eating it in the cafeteria. 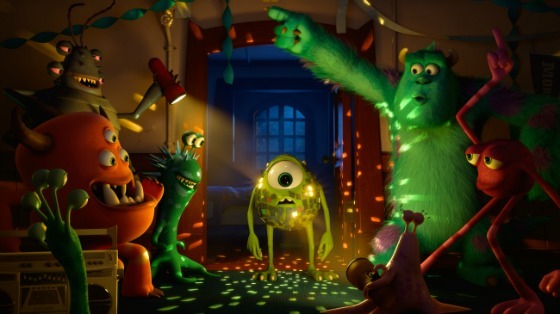 You will have to follow along me under the hashtag #MonstersUEvent on Twitter to see! Disclosure: We were not compensated for this post. All photos are courtesy of Disney. We are being provided with an all expenses paid trip to San Francisco for the event. All of our thoughts and opinions are of our own. When there is a movie with witches in it, we can expect a lot of flying. When I watch a movie with flying actors, knowing about how the actors would be suspended on wires for long periods of time as live action models in the film "Peter Pan" comes to my mind. When watching the movie, "Oz the Great and Powerful" I wondered how these women were able to manage acting while being suspended on wires for long periods of time. I thought about how sometimes I think my job as a mom can be physically grueling, but I cannot imagine how challenging it must be to act while suspended in the air for long periods of time. During the recent "Oz the Great and Powerful" press conference, the question was asked about how the witches managed to act while being suspended from wires. Michelle Williams said, "I think we both really loved being on the wires." 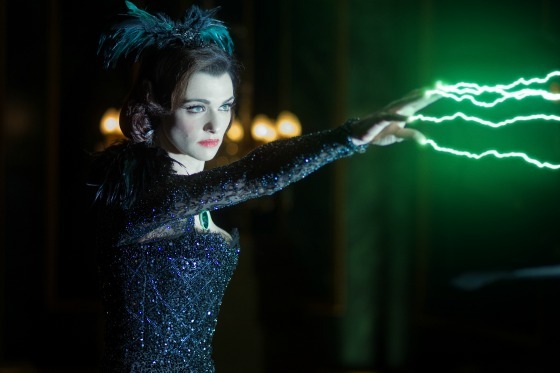 Rachel Weisz shared with the group that it was a little scary for her on the first day. There were stunt coordinators who had worked with the director, Sam Raimi on "Spiderman" films that helped with this film. She shared how they had help from experts who were good at making people fly. The director, Sam Raimi said that the ladies were good sports. That they would be hanging for hours. He said, "I know those wires. They cut into you. The straps do. They dig into your legs and into your arms. It can be exhausting and acting from wires, and it can leave marks." Just like with being a mom, sometimes we are in situations that are challenging, but we have to work through them. The same was true for these two women acting from wires in the film. Rachel Weisz said, "You hear Sam say 'action.'" Then Michelle Williams said, "everything just sorta drops away, and I feel like you are always acting through something. Just like it is really hot, or it is really cold, or you are hanging from ceilings." "Oz the Great and Powerful" is coming to theaters on Friday, March 8th. Disclosure: We were not compensated for this post. We attended a press conference with Disney. Photo courtesy of Disney. I love doing movie inspired crafts and recipes with my kids before taking them to see a film. When planning to take my older son and daughter to see the film this weekend, I referenced to the wonderful collection of Oz inspired crafts and recipes on the Brit + Co. website. The collection features everything from making a rainbow cake to party favors. 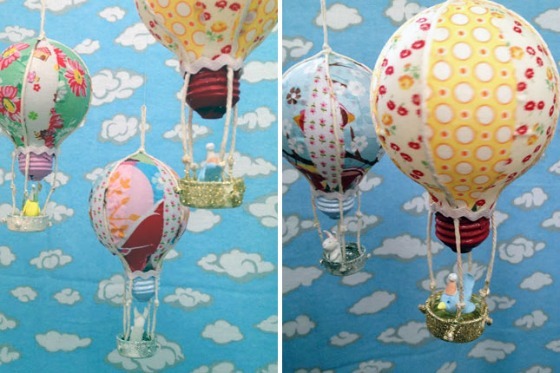 Since my daughter has a fascination with hot air balloons, I know that she will love making some of the hot air balloon activities with me featured in the collection. After seeing the film, we are going to make some of these recipes and crafts creating a fun and interactive hot air balloon themed Oz after party. 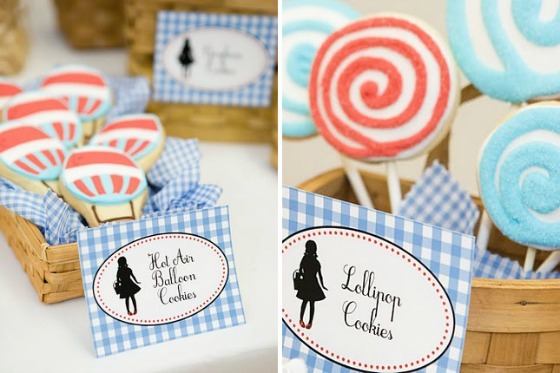 You can see the full tutorials and more Oz inspired party ideas on the Brit + Co. website. Disclosure: All the photos are courtesy of Brit + Co. and Disney. I was provided the facts and information in press information from Disney. All my thoughts and of my own.